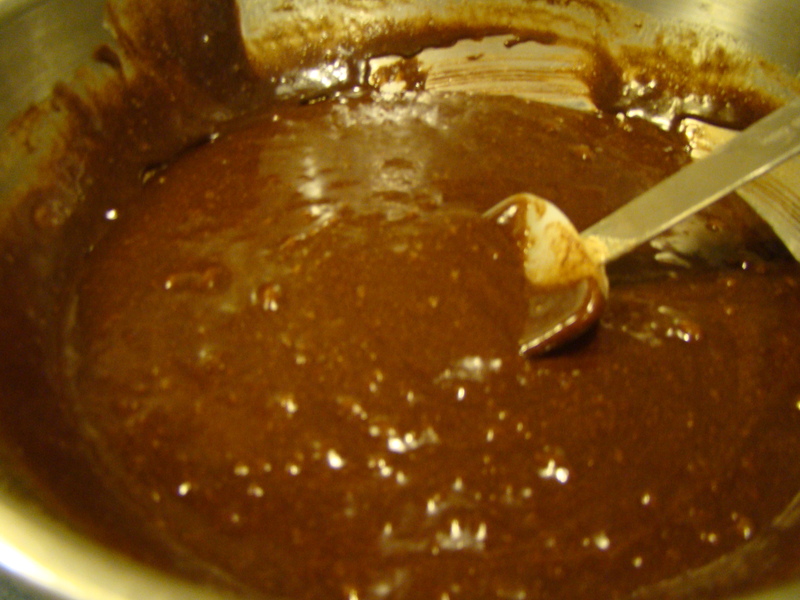 Homemade brownies… I’ve tried many different recipes over many years. Though this might be sacrilege to say, at my house, the boxed version typically wins. The brand varies over time. The current favorite is Ghirardelli Triple Chocolate Brownies from Costco. When I saw that this week’s recipe for Tuesdays with Dorie was “Best-Ever Brownies”, I knew I’d have to try them out and see how they matched up. I love how the recipe starts out by stating if your brownie preference is cakey (vs. fudgy) to just move onto a different recipe. Fortunately, we are firmly in the fudgy camp. 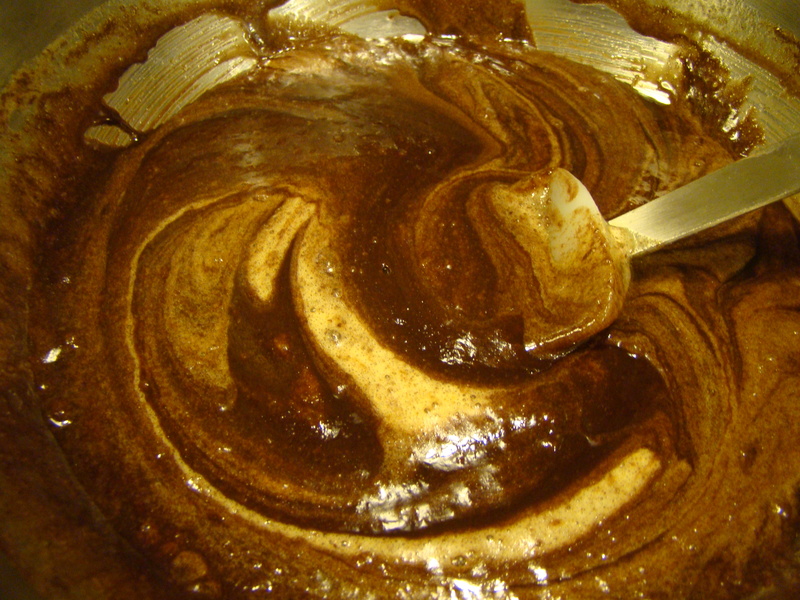 This recipe starts by melting bittersweet and unsweetened chocolate with butter. 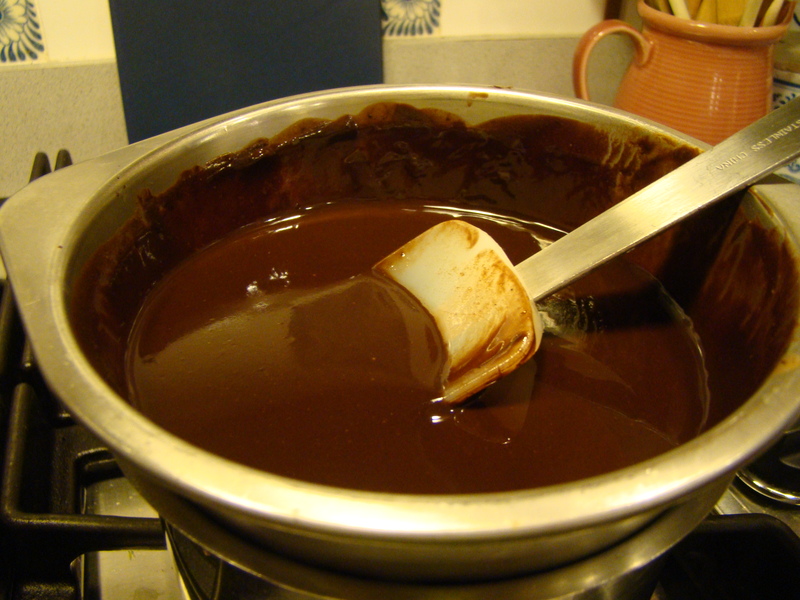 Then, an egg and sugar mixture is slowly mixed into the chocolate. 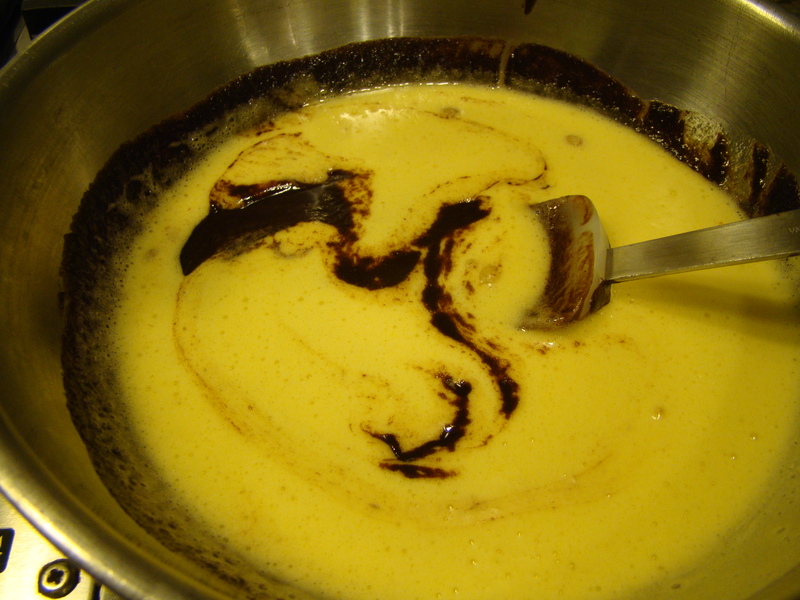 More of the egg and sugar mixture is whipped until it turns a lovely pale yellow shade which gets gently folded into the chocolate. Finally, the flour is gently folded in as well. The brownies bake until they are just set. I checked them after the recommended 23 minutes, but let them go for 25 minutes. Then, we had to wait for them to cool (torture!). When it was time to cut into them, the brownies were moist and fudgy. There was the slightest of crust of top. There would have been even less if I’d taken them out on initial checking at 23 minutes. The judges at my house are tough. How did this recipe match up against the box mix? Howard said they were pretty good, better than most from scratch recipes we’ve tried, though maybe not “best-ever”. Were they better than Ghirardelli? It was a close matchup. While both fudgy, they were different kinds of brownies. These brownies were all about the fudgy center, without much regard for the edges. Personally, I’m an edge eater. I love the chewy (not cakey) edges and especially the corners of brownies. Ghirardelli has more edges to balance the fudgy interior. But, even if these weren’t best-ever, they were still damn good. If you want to try for yourself, visit this week’s host Monica’s site A Beautiful Mess where she shares the recipe. The recipe can also be found in Dorie Greenspan’s book, written with Julia Child, Baking with Julia. 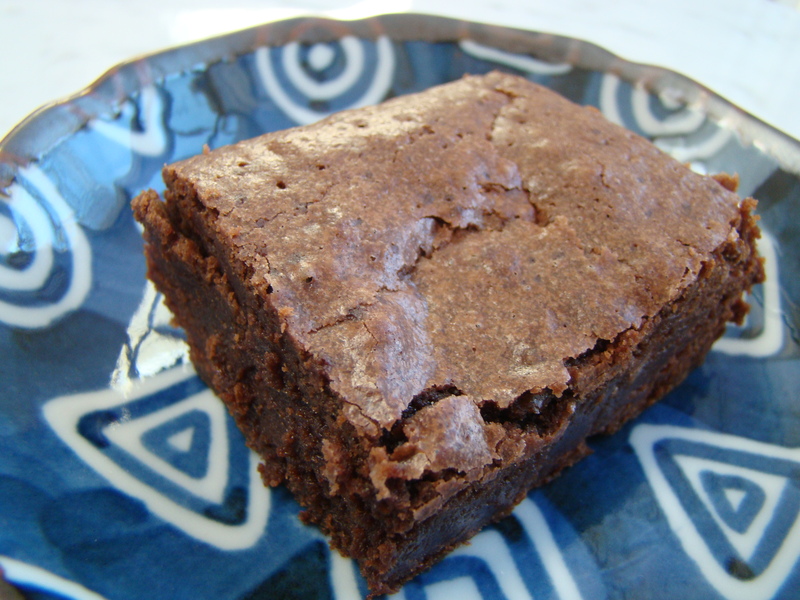 You can also visit the Tuesdays with Dorie LYL post for this recipe to find links to other baker’s brownie experiences.